for $450,000 with 3 bedrooms and 2 full baths, 1 half bath. This 2,010 square foot home was built in 1967 on a lot size of 0.6000 Acre(s). 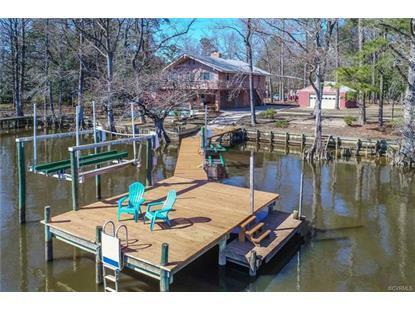 Let your worries and cares drift away at this waterfront retreat in Chickahominy Haven! 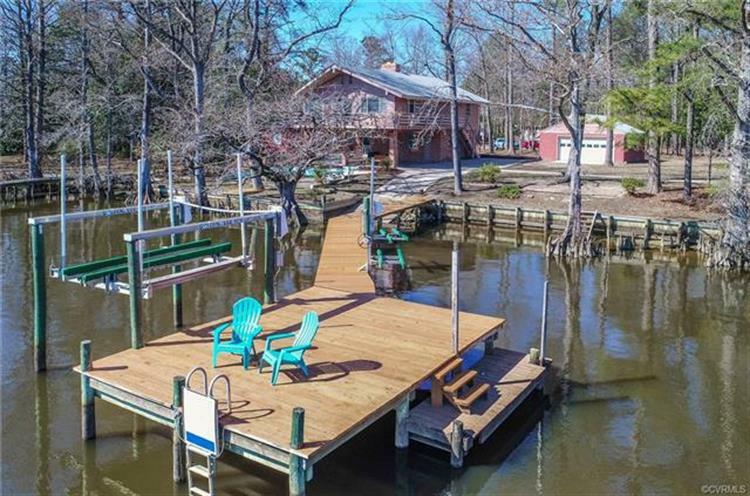 This home has its own boat ramp and is located on a double lot with ample room for outside fun! Soak in the breathtaking sunrises from your private dock (with boat lift & 2 jet ski lifts) or enjoy your gorgeous water views from your balcony & porch & enjoy an evening breeze. You can grill and entertain guests on your waterfront patio or treat them to an afternoon of boating and fun in your backyard on the River! You will love your 2-car garage and detached office/cabin. This Post Modern Beauty has been lovingly updated with new paint (inside and out), refinished hardwood floors, new stainless steel appliances, new flooring in the Kitchen & Family Room -and more! Upstairs on main level you will love the views from the Kitchen & Great Room that has a gorgeous beamed wood ceiling & an inviting fireplace. There are 3 bedrooms/1.5 baths & an enclosed porch. Downstairs is a spacious Family Room with fireplace & full bath to wash off after a day of fun on the water! Golf Cart friendly community! Optional community association ($75/yr.) with neighborhood beach, picnic areas, playgrounds & boat ramp!